Thanksgiving is coming (I still can't believe it). Do you struggle to stick to your plans due to some of the traditional dishes served? 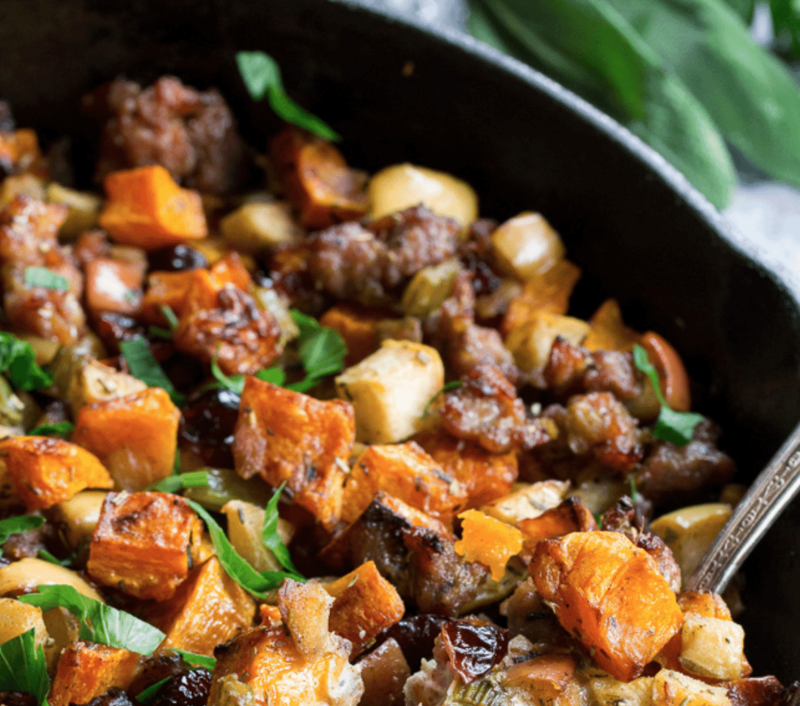 Here is a suggestion that works all fall long, but just may become a staple on your Thanksgiving table: Butternut Squash and Sausage Stuffing from Paleo Running Mamma.